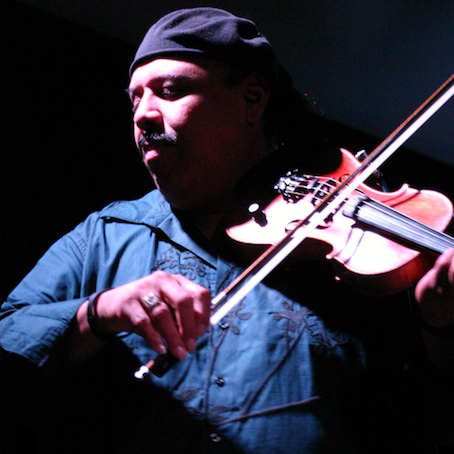 Carlos Reyes recording artist, producer, engineer, harpist and violinist– has been breaking musical barriers since his first public performance at the age of five. Born in Paraguay South America. He began his musical education at the age of three and a half on the violin. A few years later, his father, a musical and national hero in Paraguay, dared young Carlos to learn the complicated 36 string native Paraguayan harp. Being called a child prodigy at an early age he took his fathers challenge seriously, Carlos purchased his first harp for $50.00 when he was just ten years old. Two weeks later, he earned a double encore and $250.00 at his first professional harp concert. Since then he has taken the Harp and it’s music to new and ground breaking levels. Continuing his musical education, at an early age Carlos eventually learned to play many different instruments including Guitar, Bass, Mandolin, Keyboards, as well as mastering the use of a variety of electronic devices and special effects. He made his debut on harp with the Oakland Symphony and his debut on the violin with the Oakland Youth Symphony at just fourteen years of age. He has worked in the professional recording industry for commercials, solo artist and instrumental background music for the acclaimed children’s shows “Sesame Street” and “Villa Alegre” when he was still in his teens. Carlos thrilled thousands of loyal followers with the Jazz-Rock group Merlin as they played all over the SF bay area. Carlos’s first album, “The Beauty of it All”, was on the Top-Ten Contemporary Jazz charts in Billboard Magazine for over 15 weeks. His solo harp collaboration on Sugo records titled “Harvest Moon”, has received rave reviews since it’s release. His latest recording entitled “Children of the World” and “Sesto Senso”have recently been released in Europe and have had great response at radio. Soon to be released will be two more CD’s that until now were only available in Europe. He has backed such artist as Chuck Mangione, Bill Evans, Clark Terry, Pat Travers, MC Hammer. He was also invited to share the stage with the TV Giant Merv Griffin.The producer of Whitney Houston, Aretha Franklin… The Legendary Narada Michael Walden, —he has shared the concert stage with such great artist from Craig Chaquico, The Crusaders, The Rippingtons, Roy Rogers to Charlie Daniels, Wynona Judd, Clint Black, Willie Nelson, John Handy, The Doobie Brothers, Rocker Steve Miller and many more. Touring in Europe and representing Paraguay at the worlds fair in Hanover Germany he was received with standing ovations and given a medal from the Vatican for his musical contributions. Out of that tour he was invited to perform in Italy for the well known “Latinoamericando” Festival and at the world famous Ariston Theater in Torino which a 10 minute documentary on Carlos was made out of that show and aired on Italian national TV and through out Europe. His performances in Europe keep bringing him more and more invitations to share his special kind of music. His latest musical journey was a special invitation as a soloist to play and record in Havana Cuba with the great flautist “El Tosco”. He heard Carlos was in Cuba playing and asked him to perform and record. “This was one of the most magical and musical moments of my career” says Carlos……….. “El Tosco” named Carlos “EL Monstro Musical” ……..”The Musical Monster” What an experience! Recently returning from tours in Asia and South America he keeps sharing his brand of music to more and more parts of the world with great reviews. Carlos has been invited by the Ministry of Education in Paraguay to come back and give concerts. Out off his last tour to homeland, he has started a program to bring back musical instruments for the children. He is planning to give workshops and get this project/foundation running this year.